An excerpt of the letter sent to Governor Sununu, who had yet to review it Monday afternoon. A bipartisan group of state lawmakers wants Gov. Chris Sununu to support another big New Hampshire-based power line, now that the future of the Northern Pass project is in doubt. The controversial transmission line proposal from Eversource is supposed to get a big contract with Massachusetts to help meet the state’s renewable energy goals. But New Hampshire regulators denied Northern Pass its final permit last week. Now, Bay State officials are weighing whether to pick a different option. 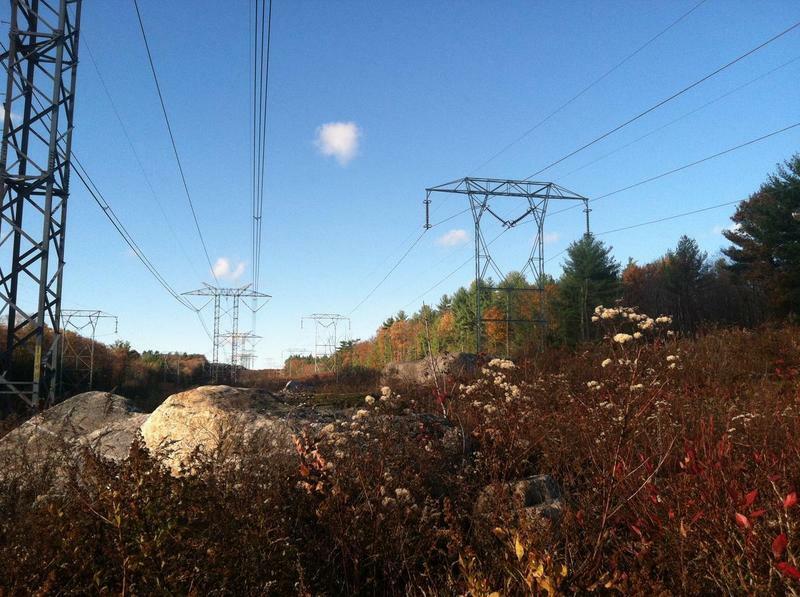 Some New Hampshire legislators hope that option will be National Grid’s Granite State Power Link, a competitor to Northern Pass that’s still in the early stages of development. Map of Granite State Power Link proposal. It would bring about as much power from Canada to New England as Northern Pass, but would use almost exclusively existing power lines and right-of-ways. Democratic Rep. Sharon Nordgren also signed the letter. She says the National Grid project is an ideal way to capitalize on Massachusetts’ energy policies. “Anything we can do to increase the possibility that New Hampshire will get some of the benefits from this, and not just the environmental impact, that would helpful,” she says. 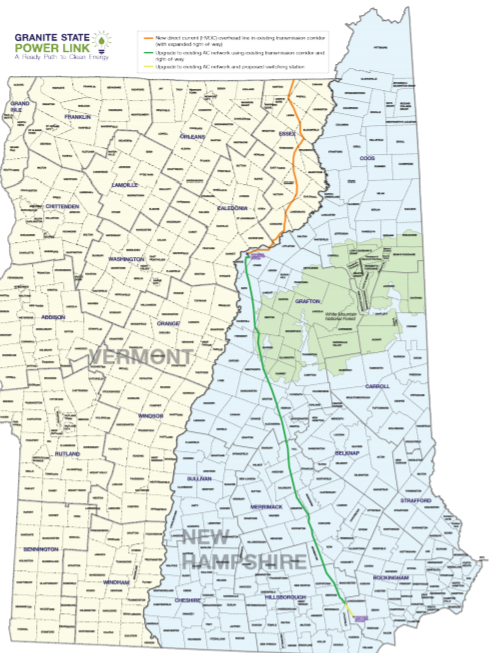 Sununu has previously supported Northern Pass. His spokesman said the governor’s office had received the letter Monday afternoon and the governor looked forward to reviewing it. In a statement, National Grid vice president for business development Will Hazelip says they’re grateful for the support. “Assuming Northern Pass isn’t a reality, our project is the only way New Hampshire can still benefit from the Massachusetts procurement,” he says. The utility plans to apply for its New Hampshire siting permit this spring or summer. It still leaves a tight timeline – Massachusetts needs whatever project it picks for its long-term contract online by the end of 2020. The Commonwealth has given its main utilities, including the distribution arms of Eversource and National Grid, until this Friday to decide if Northern Pass is still viable. If they decide it’s not, the state would consider other proposals. CORRECTION: A previous version of this story incorrectly stated National Grid was the developer behind Northern Pass. In fact, it is Eversource. The previous version also stated Granite State Power Link would carry primarily Canadian hydropower, when in fact, it would carry primarily Canadian wind power that is backed up by hydro.